platelet therapy) in patients with NSTE ACS. Therefore, ASA remains the cornerstone of early treatment for all ACS.43 Dosing of ASA for NSTE ACS is the same as that for STE ACS (Table 8-2). ASA is continued indefinitely. Doses and contraindications to glycoprotein IIb/IIIa receptor inhibitors are described in Table 8-2. Major bleeding and rates of transfusion are increased with administration of a glycoprotein IIb/IIIa receptor inhibitor in combination with ASA and an anticoagulant,2 but there is no increased risk of intracranial hemorrhage in the absence of concomitant fibrinolytic treatment. The risk of thrombocytopenia with tirofiban and eptifibatide is lower than that with abciximab. Bleeding risks appear similar between agents. The choice of anticoagulant for a patient with NSTE ACS is guided by risk stratification, treatment strategy, and the results of recent clinical trials.2,44-46 For patients undergoing an early invasive strategy with early coronary angiography and PCI, either UFH, LMWH, low-dose fondaparinux or bivalirudin should be administered. If fonda-parinux is chosen for a patient who undergoes PCI, it should be administered in com bination with UFH as the dose of fondaparinux studied appears too low to prevent thrombotic events during PCI. UFH is the preferred anticoagulant following angio-graphy in patients subsequently undergoing CABG during the same hospitalization. RR is a 66-year-old, 90-kg (198-lb) male who presents to the emergency department by ambulance complaining of 4 hours of continuous chest pressure that started while mowing the lawn. RR developed substernal chest pressure about 30 minutes after starting to mow his lawn. He stopped and rested but the chest pressure did not resolve. Local paramedics were summoned and he was given three 0.4 mg sublingual nitroglycerin tablets by mouth, 325 mg ASA by mouth, and morphine 2 mg IV push without relief of chest discomfort. What type of ACS is this? In patients in whom an initial conservative strategy is planned (i.e., are not anticipated to receive angiography and revascularization), either enoxaparin, UFH or low-dose fondaparinux is recommended. Bivalirudin has not been studied in this setting. Because there are more data supporting the use of enoxaparin, it is the preferred LMWH for ACS. In comparative trials, the rate of bleeding with enoxaparin has been higher than other anticoagulants. For patients presenting with NSTE ACS in whom cardiologists suspect a high risk for bleeding while receiving an anticoagulant, fondaparinux (for conservatively managed patients) and bivalirudin (for interventionally managed patients) are the preferred anticoagulants recommended by the ACC/AHA NSTE ACS guidelines. Neither fondaparinux or bivalirudin are FDA approved for NSTE ACS despite being recommended by the ACC/AHA NSTE ACS guidelines. calculated based on total patient body weight using the Cockroft-Gault equation. ) However, while recommendations for dosing adjustment of enoxaparin in patients with CrCl between 10 and 30 mL/min are listed in the product manufacturer's label, the safety and efficacy of LMWH in this patient population remain vastly understudied. Administration of LMWHs should be avoided in dialysis patients with ACS. 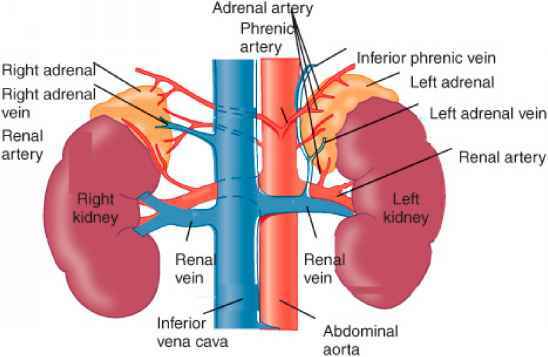 It is unclear whether or not bivalirudin requires dose adjustment for patients with sig nificant renal dysfunction. While bivalirudin is eliminated renally, the duration of infusion in recent trials has been short (several hours only), and therefore the actual need for dosing adjustment is unlikely. Patients with serum creatinine (SCr) greater than 3.0 mg/dL (265 ^mol/L) were excluded from ACS trials with fondaparinux and the product label states that fondaparinux is contraindicated in patients with CrCl less than 30 mL/min and in patients weighing less than 50 kg (110 lb). UFH is monitored and the dose adjusted to a target aPTT, whereas LMWHs are administered by a fixed, actual body weight-based dose without routine monitoring of antifactor Xa levels. Some experts recommend antifactor Xa monitoring for LMWHs in patients with renal impairment during prolonged courses of administration of more than several days. No monitoring of coagulation is recommended for bivalirudin and fondaparinux.